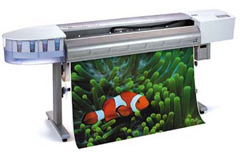 Superchrome, a large format digital printing company based in the UK, has established a name for itself in the field of printing on canvas services. Among our valued clients are prominent advertising agencies, promotional enterprises, art galleries and other creative organizations. We give prior importance to customized printing on canvas. At Superchrome, we provide printing services on a variety of canvases. We utilize the services of technical experts and graphic designers and artists to give the best of services to our customers; we exploit the capabilities of advanced digital printing technology to the maximum. You can trust Superchrome to benefit you with attractive color combinations and color profile for your canvas prints. Moreover, our products are given the best post production services. For printing on canvas, you can give us your own photos, images, paintings and artwork. Or if you need pictures, we have a wide variety of picture galleries from which you can make a choice selection. Superchrome giclee prints are characterized by the highest degree of accuracy, richness of colour and visual quality. You can have your canvas art print produced on 100% pure 340gsm cotton artist canvas or the instant dry 350 gsm artist canvas. We also have the 180gsm matte canvas paper which is specially designed for fine art reproductions and photo quality printing. Superchrome has online services that enable our customers to check the work in progress. We can provide canvas prints either framed or unframed, as you desire. Our prints are water resistant and sturdy and excellent additions to galleries and museums. We print on any size of canvas and offer our services at a moderate price. Customer satisfaction is our prime concern and we enjoy constant encouragement and support from our customers. Once you assign your printing on canvas jobs to us at Superchrome, you can rest assured that your products will be ready in minimum time. Our prints are delivered bubble wrapped if stretched and sent by Royal Mail. Contact us for quotes. We assure a fast turn over time of just two to three days. Our high quality canvas prints are very competitively priced. If you would like to know more about printing on canvas, any of the projects shown or if you want to discuss any project you have coming up then contact us 020 7237 9333 or fax 020 7237 9444 or email sales@superchrome.co.uk. Our experienced personnel would be able to guide you appropriately.